HOSA knows one thing and that is how to best serve a musician. 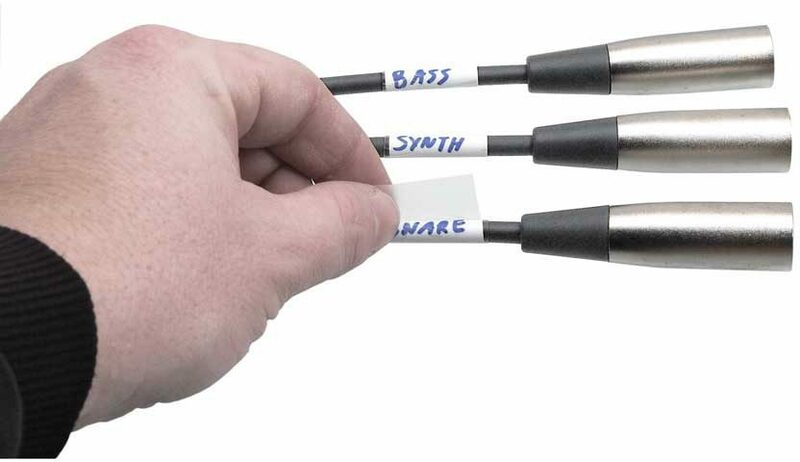 If you find yourself struggling on stage or in your recording studio over which cable goes where and what's connected to what, you'll know why you need these Cable Labels. Finally, a great way to identify and organize your stage or studio cabling! Label-A-Cable is a tablet of 60 peel and stick vinyl labels, each with a white area for jotting the appropriate legend, and a clear tail that wraps around the cable and over your writing to protect and preserve, so it won't rub off. zZounds is an authorized dealer of Hosa products.